One of the best times to stock up on beauty is now during the Nordstrom Anniversary Sale. They always have amazing deals on jumbo sizes or makeup sets. It's also a great time to try new products from your favorite brands. The moment I saw this set from one of my favorite brands I knew I had to have it. I've already tried their volupte shine lipsticks and LOVE them! The other two lip products in the set I've never tried but they both have glowing reviews. There are too many good beauty buys this year that it's making it hard for me to choose, haha. 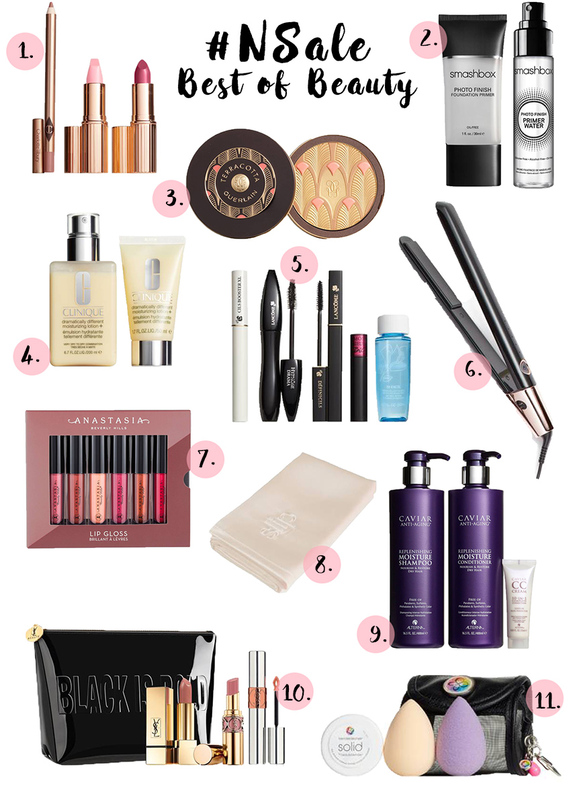 Here's a complete look at all of the beauty exclusives in the #NSale. I'd love to know what's one beauty product you'll be buying from the sale? Love this selection! Especially the lipstick colours :)! That lip gloss kit I NEED! I know! Those colors are gorgeous! Great Picks! I seriously need some YSL in my life! I adore your picks! I can't help but eye those lipstick sets! Thanks for sharing these! The lipstick sets were the first things to catch my eye! I love having tons of options to carry around in my bags haha. I love all of these picks!! My favorite is the lipstick set. Thanks for sharing! omg! I've been dying for new lip gloss colors. Thanks babe! Oooh, such awesome stuff! My eye went straight to the lip gloss. LOL! I'm soooo sad I couldn't shop the Nsale!!! But I've heard amazing things about the Guerlain bronzer, apparently it's amazing!!! 1 3 7 10 are definitely my picks on this one! thanks girl for sharing!